We've all read about the magical powers of Coconut Oil. Whether it's the go to delicious ingredient to add a little something to you everyday recipes or you've been promised a gleaming white smile through oil pulling - We've all heard the countless benefits and possible uses for coconut oil and I am ready to put them to the test. 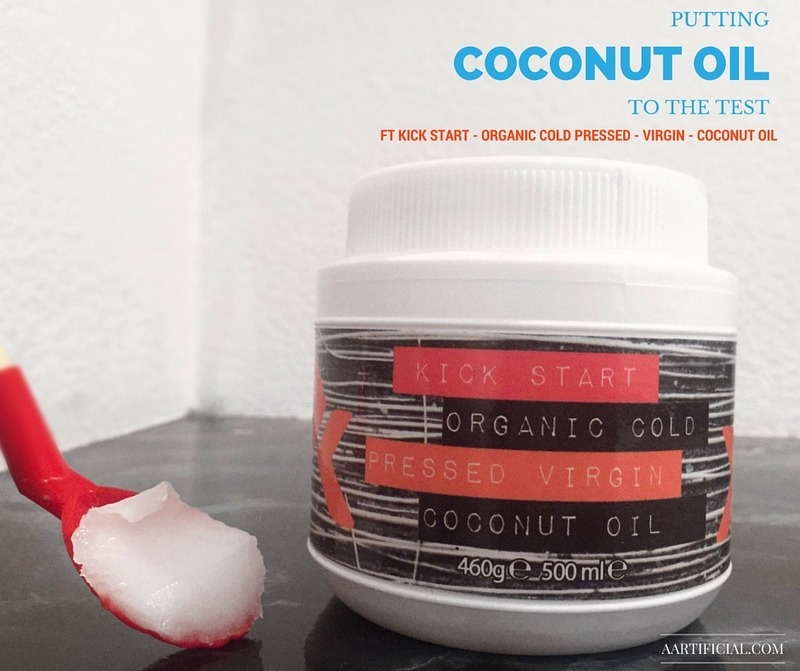 I couple weeks back I was contacted by Kick Start Fat Loss and their take on this wonder product really intrigued me - Not only was I drawn to the fact it was the first time I had ever come across a Cold Pressed oil, but their website introduced me to even more ways to add coconut oil into my beauty regime and I couldn't wait to get my hands on their product and let the examination begin! Logically this made total sense to me. As you may have seen from my previous "How to wash your make up brushes" post - coconut oil is one of my favourite products to use to help break down the build up of make up in my brushes. So if it can remove make up from my brushes and tools I was so sure it could also remove make up from this face of mine. I took out a scoop full of oil into the palms of my hands and rubbed them gently together to break the oil down a little. I then went ahead and massaged the oil directly into my face and down my neck moving in a circular motion.Almost instantly I could see some of the make up breaking down on my face and even the majority of my eye make up was beginning to smear across my face (Hello Panda Eyes)! I then went in with my wet muslin cloth (using warm water) and continued to use this to wipe off the rest of my make up. Why have I never actually used this before? After paying such excessive prices for a gentle, natural make up remover I am so pleased this cheaper alternative does the job just as well! I loved the way the Organic KSFL's Coconut Oil melted into my skin and also added so much hydration and moisture once the make up was all gone. I have always been so sceptical about this one. I've the crazy celebrity endorsement for coconut oil pulling products and if I'm being honest the thought of whacking a whole load of oil into my mouth and swishing for over 5 minutes was in no way appealing to me at all. But who doesn't want a gleaming, fresh, white smile so, yeap I took it the test. I had to research this one a little because I did not want to get this wrong. So following the instructions I found online I used a tablespoon and scoop some of the oil and put it straight into my mouth. Instantly the oil was breaking down and becoming a lot more runny so I began swishing. Honestly, I'm not sure if my jaw muscles are seriously weak or whether it's a feeling I will get used to but after around 1 minute of swishing my jaw was aching! I soldiered on for another 15 minutes or so and spat the oil straight out into a cup (I was told not to spit into the sink as it may provide some blockages). I'm going to be a little graphic here but the oil had transformed from a clear residue to a thick white gunk - but in the Oil Pulling world that's a good thing! I then washed my mouth out, brushed and drank water and examined the results. The most first thing I noticed was how clean my mouth felt. It's difficult to explain but my teeth and mouth felt really refreshed. I didn't notice a significant difference in the whiteness of my teeth after my first attempt but in general I do think the oil pulling worked in giving me a fresher mouth. Will I be doing this often and joining the pulling community? Probably not because my jaw was in absolute pain afterwards but as a one off - not too bad! 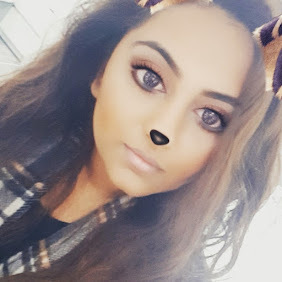 I'm going to let you in with a slight embarrassing confession here - but I was that kid in primary school, you know the one who came in almost every single day with oiled up hair wrapped in the tightest of tight plait? The one who had most of the classroom smelling of oil? The one who had hair so long it should have come with a warning? Yeap that was me - and while at the time I hated my mum for putting me through all of that, when I see the length and condition of my hair now I am so thankful she turned me into a little freshie at school. The only difference is that back in the day her oil of choice was almond oil so I was wondering how well coconut oil would work as an alternative. The method I used for this was pretty simple. The night before I wanted to wash my hair I layered up a generous amount of coconut oil into my hair concentrating most of the product on the middle and end sections. I try to avoid applying any sort of conditioning or oil based product onto my scalp because my hair tends to get greasy real quick and means washing and drying my hair too often. I then wrapped my hair in a tight top knot and went off to bed. (This can get a little messy so either whack on a shower cap before bed or don't use your favourite pillow case). The next morning I continued to Shampoo, Condition and style my hair as usual. I cannot explain how effective this is! I know a lot of people swear by this as a regular in their haircare routine but personally I believe less is more with this method. I do find that over conditioning your hair in this way makes it difficult to work with and hard to style as it becomes a little too silky and soft. I recommend using Coconut Oil in your hair once a month to not only help condition your hair but also repair broken ends! This is something I hadn't heard of prior to visiting the Kick Start Fat Loss wesbite. But they listed it as one of the many uses for their oil so I wanted to give it a go. As instructed I rubbed a pinch in between my fingers to warm the oil up and patted it underneath my eyes until it was slightly absorb. I tried this both alone and under make up to truly see if it could replace my everyday eye cream. I wasn't really blown away by these results. Under make up it was a definate no go as it had my concealer slipping and sliding all over the place but that was just as I expected. When I used this method before going to bed as a night time eye cream I was again, underwhelmed. I didn't wake up with much of a difference and my eye bags were annoyingly still there! Before this post turns out way too long I'm going to cut the post short here! Overall, the majority of my tests have made Kick Start Fat Loss' Coconut Oil a staple in my Skincare and Beauty routine and I think I'm going to continue using it as a make up remover and hair mask as well as my magic ingredient in my make up cleaning method! What makes Kick Start Weight Loss' Coconut Oil unique from all the other brands in the market? I really do think the fact the oil is organic and cold pressed makes the world of difference. Knowing the oil is organic means it stops me putting unnecessary chemicals onto my skin and reduces the likelihood of breakouts and I love that the product is regulated and approved by so many different certification bodies. *The product mentioned was provided as a PR Sample for review. All opinions are that of my own and I have provided an impartial, honest review. I never knew you could use coconut oil for so many things!! I agree with you on the mouth/teeth cleaning. Really leaves our mouth feeling different.